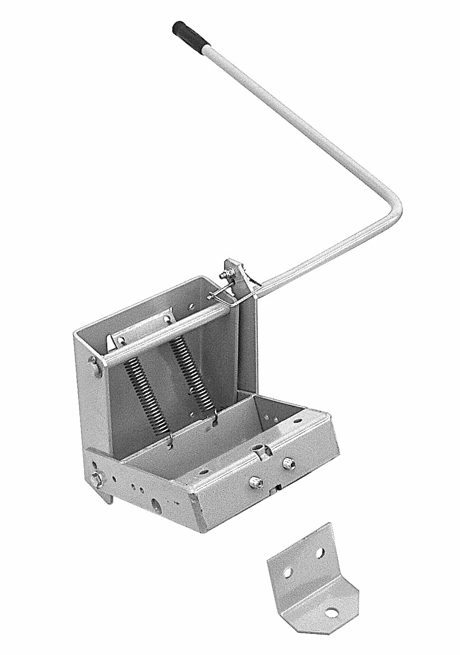 Unpainted standard “sleeve hitch” with two “lift-assist” springs. Comparison for judging ability of “lift assist” springs: 2 lbs. of lift handle force will raise 24 lbs. SR24 Ripper; 30 lbs. of force will raise 68 lb. TR23 Ripper. Comes complete with bolt on draw bar as shown. Use single pin or two pins for mounting attachments.